This past weekend I was at the Marin County Fair and went out to the exhibitor parking lot ( a big pasture) to get my sweatshirt. My car was out back by the horse trailers and as I leaned into my car, on the other side of the car and out the windows I saw a bunch of bare chested teenage cheerleader girls. They had been changing out back behind my car! 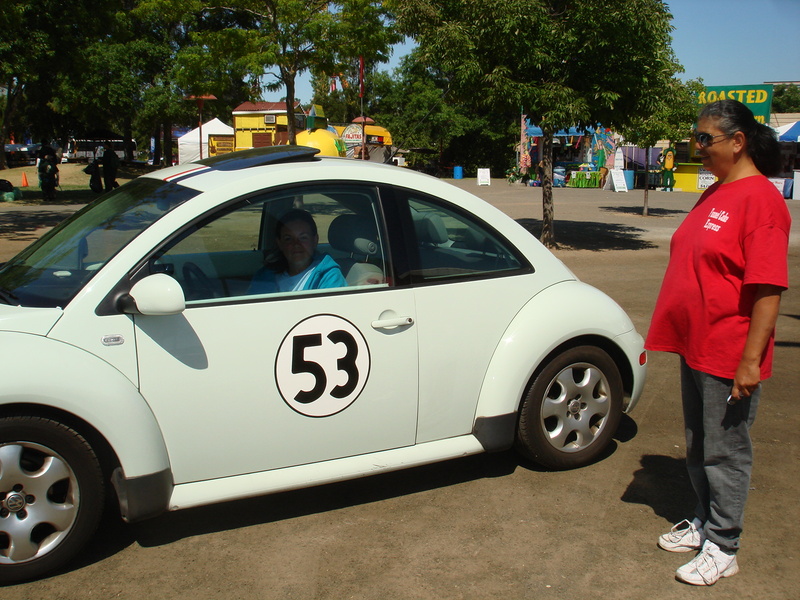 As a father of a young girl, I quickly grabbed my sweatshirt, shut the door and walked away as the girls giggled and told me how they loved Herbie. Brother! Couldn’t they have picked some huge SUV to change behind? Anyway, I frequently get told by people that they saw me (my car) etc. So I’ve decided to start posting photos of people with my car. 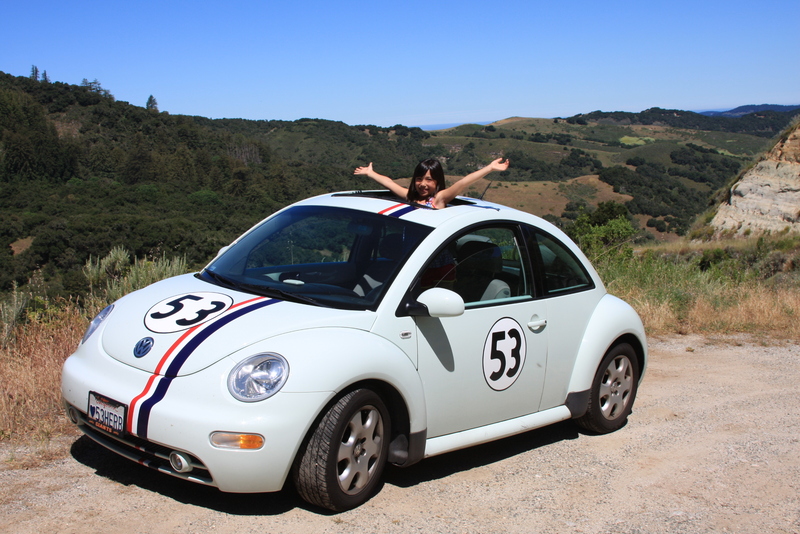 If you ever find Herbie parked around San Francisco, feel free to take a photo and share it with me. I will post it here. Here are a few to start it off. 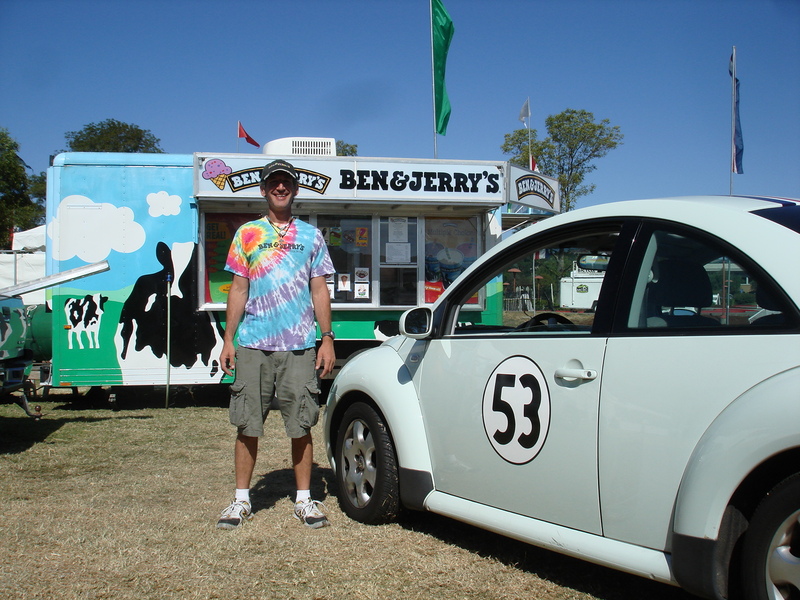 My Business Partner and our other vehicle, the Cowmobile!